Our Cape Hake fillets are BONELESS & SKINLESS, IQF (Individually quick frozen) and responsibly sourced in the South East Atlantic off the coast of South Africa FA047.Hake is a medium thick white fish, it has been around for some time but it's becoming ever more popular now. 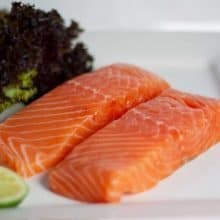 A very healthy fish, Low fat, low carb, low calorie as with all white fish BUT Hake has ZERO cholesterol. 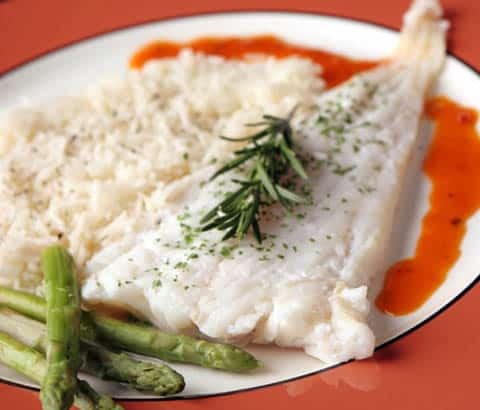 900g of Hake per order which on average yields 4-5 fillets depending on the size of the fish. 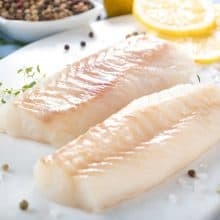 Cook the Hake Fillets fom frozen. You can oven bake or grill. To oven bake, pre-heat your oven to 180c. Place the Hake in an oven proof dish and add a little butter, salt & pepper and cover with milk. Bake for 12-15 minutes. 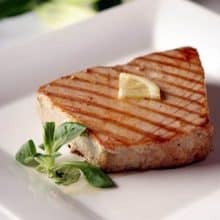 To grill, pre-heat your grill to medium hot, place the Hake fillets under the grill for 4-5 minutes until they have softened then baste with a little butter and seasoning and cook for a further 4-5 minutes.